Next week I'll be packing for a week in Northern Michigan (can.not.wait) and already planning my must-have list. 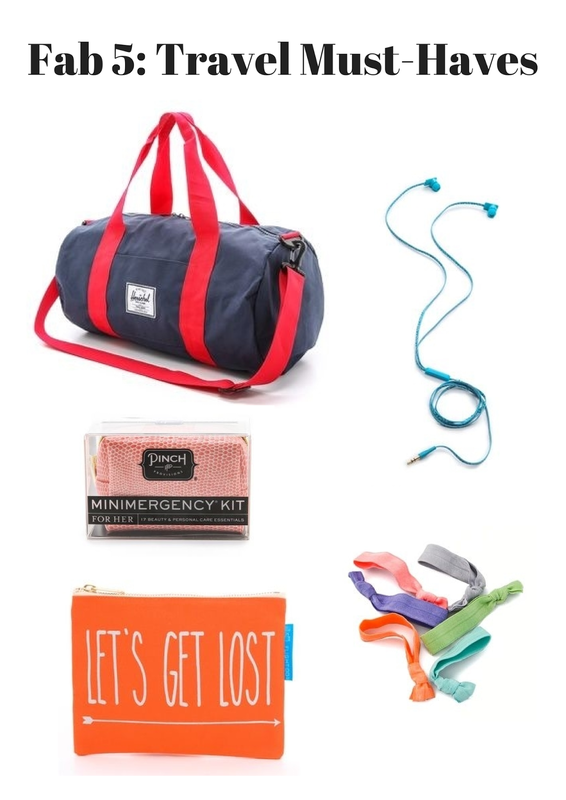 From earbuds to a minimergency kit here are five items I'm keeping on my radar for traveling. Project Soiree occasionally receives vendor/brand sponsorships for mentioning their products and services. All opinions are 100% my own.